Thousands of spectators gathered at Rizal Park in City of Koronadal last Friday, January 5 as a total of fourteen (14) groups coming from different parts of Mindanao competed in Hinugyaw Festival 2018 Hip-hop Dance Competition. 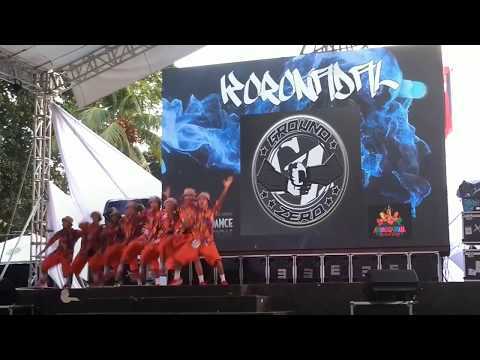 Ground Zero from City of Koronadal bagged the championship with their awesome performance. While the Unity from Davao City and Spacebar from General Santos City placed 1st Runner-up and 2nd Runner-up, respectively. Performances of other participating dance groups in Hinugyaw Festival 2018 Hip-hop Competition are now uploaded at our Youtube Channel, don't forget to SUBSCRIBE!